The group dates back to 1976, when the four brothers of the Neville family, Art (b. 1937), Charles (b. 1938), Aaron (b. 1941), and Cyril (b. 1948) got together to take part in the recording session of The Wild Tchoupitoulas, a Mardi Gras Indian group led by their uncle Big Chief Jolly. This experience lead them to form the group the following year. Their debut album was released from Capitol Records in 1978. This experience lead them to form the group the following year. Their debut album was released from Capitol Records in 1978. In 1988, the group released Uptown from EMI featuring guests including Branford Marsalis, Keith Richards and Carlos Santana. The following year saw the release of Yellow Moon from A&M Records produced by Daniel Lanois. The track "Healing Chant" from that album won best pop instrumental performance of the Grammy Awards. 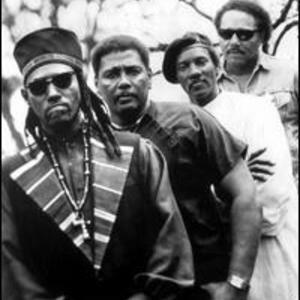 Due to the health problems of Art Neville, the band kept low profile in the late 1990s onto the early 2000s, however, they made a comeback in 2004 with album Walkin' In The Shadow Of Life from Back Porch Records, their first newly recorded effort in 5 years. All brothers except Charles who lived in Massachusetts, had been living in New Orleans, but suffering damages from Hurricane Katrina in 2005, Cyril and Aaron moved out of the city afterwards. They had not been performing in New Orleans since Katrina hit the city, however, they finally returned to perform there at the New Orleans Jazz & Heritage Festival in 2008, at the closing spot which had been reserved for them for years. Ivan Neville, Aaron's son on keyboards plays with the band off and on in the recent years.